Why Buy @ Burlington VW? We just bought a car today! Dave Pittman was excellent and helped is until we decide to buy our new car. Thank you Dave. This is my second lease from Burlington Volkswagen and my second time working with Christian Cerrone. Both experiences were FANTASTIC! Both times I began my car hunt at Burlington Volkswagen and both times I didn’t end up going to any other car dealership. Christian listened to my needs and was attentive and helped me get the best value possible. He really takes care if his customers and truly gets them in the perfect car for their needs. I will recommend him to all my friends and family when car shopping and will definitely come back to the Burlington Volkswagen in the future! Thank you, Christian! I don’t recommend this place to anybody. I took my car there on Saturday because I have been told it will get checked on Monday. Today is Tuesday but The car is still not checked, and no one seems to care about what I have been told on Saturday, and they told me I can come pick up my car if I am not satisfied with the service. They also said that no one told me the car could be checked on Monday so I guess I am a liar.. This is the first and last time I take my car to this dealership. I had a great experience trading in my 2016 Tiguan for a 2019 Tiguan. Christian C. Was super helpful and we were able to work out a deal super fast. I would definitely recommend using Christian in the future! Purchased a Tiguan from the dealership. Christian C. was very helpful, honest, and earned the sale. The other staff were very accommodating and even gave my two toddlers some cool VW cars to take home and play with while we did paperwork. Process was easy enough, not a long time getting things done once we decided to purchase. I would recommend, and ask for Christian! Yesterday we went to this dealership hoping to get out of our current lease. They provided us with excellent customer service. They would not allow us to leave without exploring every option. Today we worked with the sales manager who was awesome. He provided us with the best rate and coverage for our vehicle. Thank you Burlington Volkswagen. We will definitely see you again in the future. Leased our new Tiguan from Dave at Burlington VW and couldn't be happier. We stopped in on a Saturday, test drove one, and although they didn't have the specific model we were looking for at that time (wife wanted all wheel drive and third row seating), they were able to find one and get it to them in a couple days. Came back to pick up the car and they were even awesome with my rambuncius toddlers while I did paperwork.Recently just stopped in for parts for said new vehicle and that was a breeze as well. 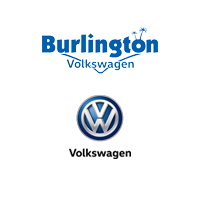 Being a "VW guy" Ive known about them and used them for parts for along time, and never had any complaints.Would highly recommend Burlington VW if you are hunting a new car!